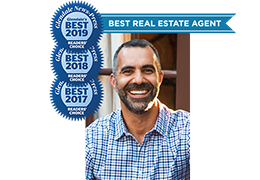 Chris Cragnotti, REALTOR Associate at G&C Properties, is a Glendale native and specialist in Glendale's fine Character-Homes. If it's a beautiful home in a diverse community you desire, then Chris is the REALTOR for YOU! Single-level Tudor, re-imagined Italian inspired interior and exterior featuring updated Kitchen and Bathrooms in the heart of hip Adams Hill. Contact Chris Cragnotti for more info. Single-level Traditional charmer on flat lot near Brand Park with original character charm and modern system upgrades. First time on the market since it was built in 1940! Contact Chris Cragnotti for more info. Glendale Historic Resource No. 76. Charming renovated Eclectic Prairie style home with loads of original character detail, master suite, large backyard and generous Mills Act property tax subsidy. Contact Chris Cragnotti for more information. Traditional charmer just steps from Kenneth Village with open floorplan incl. Family Room, Master Suite and Pool & Spa. Contact Chris Cragnotti for more information. Storybook English in prime Altadena with loads of charming original details as well as some systems upgrades. Contact Chris Cragnotti for more info. Classic character Spanish with lots of original charm as well as some system updates on a ¼ acre flat lot with bonus Studio off the Garage and a mini-orchard at the rear of the property. Contact Chris Cragnotti for more information. Oversized character Spanish with loads of great original detail + Family Room + Master Suite + Pool + Detached Bonus Studio/Office with Bathroom in prime Upper 91201. Beautifully restored Tudor on lovely lush lot with period-inspired updates, large rooms, lots of original character detail and a large period detached bonus room with bathroom. Lovely single-level Traditional with updated Kitchen and Bathrooms as well as private Master Suite and large flat lot w/ spa, expansive vegetable garden and covered outdoor work area. Super cute single-level, updated, character-rich courtyard Spanish on lovely tree-lined street near to Kenneth Village. Fabulous courtyard Spanish in prime Northwest Glendale with updated Kitchen and Bathrooms plus wonderful entertainer's backyard with pool & spa. Very sweet single-level English/Traditional charmer on a quiet tree-lined street in Northwest Glendale. Fabulous Northwest Glendale main floor condo in prestigious Hillside Manor close to million dollar homes as well as shopping, cafes/restaurants, gyms, religious services and area Fwys. Charming single-level traditional in the heart of the Rossmoyne. Beautiful traditional home on an almost flat acre lot in the Brockmont Park Historic District. Charming single-level Traditional on quiet tree-lined street in Northwest Glendale. Some period features include coved ceilings and hardwood floors in the original part of the house and a spacious master suite addition as well as updated Bathrooms. Fabulous single-level charmer with plentiful original early-1900’s detail combined with tasteful modern updates in the heart of the proposed Casa Verdugo Historic District of the Rossmoyne. First time on market in 45 years! Charming single-story English in NW Glendale on flat lot with much original detail and large grassy yard. Available, but not in MLS. Updated charming Traditional in Northwest Glendale on quiet treelined street with spacious backyard and room for a pool. Contact Chris Cragnotti for more information. Rare, stunning, restored/renovated 3 bdrm, 2.5 bath Craftsman in Glendale’s sought-after Rossmoyne neighborhood. Rep’d by Chris Cragnotti. Well-cared-for Sparr Heights charming starter home near the Montrose Shopping Park and excellent schools. Storybook English cottage near to Verdugo Woodlands Elementary with 4 Bdrms, 4 Bathrms on lush shady lot. At the heart of the Brockmont Park Historic District is this wonderful Colonial Revival on a sprawling 12,106 sf flat lot with pool, sport court and gardens. The updated interior features a large open granite/stainless Kitchen, Master Suite, large Family Room, period formal spaces, a huge temperature-control wine room and updated systems. 2011-built, modern lifestyle multilevel home with great floorplan of 5 en suite Bedrooms, Kitchen/Family Room, waterfall Pool/Spa and 3-car Garage in prime Northwest Glendale neighborhood. Charming rustic farmhouse style on a sophisticated street in the prime Cumberland Heights Historic District. Super charming courtyard Spanish in the coveted Rossmoyne neighborhood. 3+2 (including a Master Suite), 1,873 sf on a 6,703 sf lot per assr. Loads of original charm and a versatile center atrium room which makes a great office or play area. Sellers rep’d by Chris. Tranquil 2009-built Halcyon House is a stately, detail-rich, modern yet classic gated retreat positioned on one of NW Glendale’s finest estate streets. Video of property available. Fabulous Penthouse unit in the most sought-after condominium complex in 91202. Beautifully maintained inside and out, this 2 Bedroom, 2 Bathroom + Office unit has been fully updated with granite/stainless Kitchen and wood flooring. Very charming single-level traditional with bright rooms, hardwood floors, period fireplace and lush, sloped backyard and patio. Darling updated Sparr Heights Traditional near Crescenta Valley schools and the charming Montrose Shopping Park. Charming Tudor in NE Pasadena. Super cute single story Traditional near to Kenneth Village and the Disney and Dreamworks campuses. Large 7 Bdrm house on a big flat 14k+ sf lot with pool. Great flexible floorplan with two separate bedrooms wings great for all sorts of family make-ups. Video of property available. Spacious 1986-built mountain view home with pool, fully renovated main level and awesome Crescenta Valley schools. Contact Chris Cragnotti for more information. Quintessentially Glendale 3+2 single-story courtyard Spanish chalk full of charming character details like niches, arches, built-ins, wood windows and floors plus a fab updated Kitchen. 1,807 SF on an 8,291 SF lot per assr. Contact Chris Cragnotti for more information. Stunning Spanish Revival Monterey style home is impeccable with an inviting spacious backyard. Completely renovated single-story in Prime Northwest Glendale on large flat lot with hard-to-find "room for a pool”. 2+2+Family Room, 1,942 SF on a 9,351 SF lot per assr. Contact Chris Cragnotti directly for more information. Impeccable 2 story Spanish built in 1926 in prime NW Glendale neighborhood. 5 Bedrooms & 4 Baths, Den and more! Charming traditional in NW Glendale just one block to Brand Park and Library. 1926-built single-level English in prime NW Glendale with Master Suite, granite Kitchen, Family Room and Pool. English charmer in need of some TLC but with wonderful bones and in a great location in the heart of Northwest Glendale. Fabulous Tudor in the highly-sought-after Rossmoyne with 3,486 sf on a 20,188 sf lot. Character-intact 1931-built Spanish charmer on quiet street in Northwest Glendale just a few blocks from the Historic Kenneth Village. Stunning Spanish Colonial Revival style built around a dramatic, private tiled courtyard and featuring grand formal spaces and spacious grounds featuring pool, tennis court, patios and gardens. Sold - Chris Rep’d Buyers in Multiple Offers. Single-level charmer just south of Kenneth Rd in North Burbank. Spacious single-level Traditional with updated Kitchen, Family Room, Pool and views across the Arroyo to the Mt Willson. Prime west-facing top floor corner 3+2 unit in newer complex in Lincoln Heights with updated Kitchen and floor-to-ceiling windows right next to the Gold Line Station. Classic and cool middle century view home with covered lanai, large deck, pool and views to DTLA and beyond! Mills Act Prairie style north of Kenneth Rd with loads of character in prime Northwest Glendale. 1925-built 1-story Spanish charmer north of Kenneth Rd in the heart of Northwest Glendale. Pristinely-kept single-story middle-century Ranch north of Cumberland Rd in Northwest Glendale. Turnkey single-story up private road and behind gates. Super charming 1927-built Spanish just below Bel Aire Dr. Bright corner unit in lovely well-managed freeway-close building in East Pasadena. Super charming single-story Spanish with lots of character and fabulous yard in Northwest Glendale. First time on the market in 32 years. Prime Northwest Glendale. Red tile roof and circular driveway offer curb appeal galore on 18,200 soft grassy flat lot with pool. Very sweet single-story Spanish lovingly cared for by the same family for 42 years. Fantastic Rossmoyne location and several upgrades abound. Main floor 1+1 condo centrally located north of 134 Fwy in cool mid-century building, The Californian. $458 HOA fee includes ALL utilities. Beautiful hard-to-find Spanish home with wrap-around VIEWS to Downtown LA and the SF Valley. Minutes to 5, 134 and 2 Fwys as well as the studios of Burbank and Hollywood. Excellent Verdugo Woodlands location. 3+2+Family Room+Office+Lush Yard+Pool. NorthWest Glendale Traditional with 3 Bdrms, 2.5 Bathrms, BONUS Office/Gym off the garage and a grassy yard. Wonderful Traditional on one of Rossmoyne's finest streets w/ updated Kitchen, Family Room, dedicated second-floor Master Suite and Pool. 4+3, 2861 sf on a 8446 sf lot per assr. Open-floor-plan Mid-Century in charming and conveniently-located Adams Hill. This home has lovely treetop hillside views, a large updated Kitchen, Master Suite, an Office plus an add'l Bonus Storage Room. 3+3, 2,194 sf (measured) on a 6,360 sf lot (per assr). Wonderful 1980's-built Silver Lake view home. Multi-level with 3 Bdrms, 2.5 Baths, 2-car Garage and awesome entertaining Deck with fab easterly views. Contact Chris Cragnotti directly for more info. Charming single-story Spanish conveniently located near the Glendale studio complex as well as the 134 and 5 fwys. Updated Kitchen, grassy yard, lots of original details. 3+1, 1224 sf on a 6077 sf lot per assr. 2 months security deposit; pets will be considered. Duplex - A rare find way up Adams Hill. Charming Traditional updated duplex with sweeping downtown Glendale city views. Super sweet 2+1 Traditional with red tile roof. Lots of original charm and BONUS CONVERTED BASEMENT in hip East Silverlake, near to all that's cool about LA. Superbly updated open-floor-plan 1963-built view home in the heart of Adams Hill close to DT Glendale, Silver Lake, Los Feliz, DTLA, the Studios and the Americana At Brand. Exciting fixer starter home in NW neighborhood with 3 Bedrooms on cul-de-sac. Picturesque traditional single story home on a large flat lot over 8,100 sq. ft. Great floor plan with 3 Bedrooms, 2 Baths, Eat-in-Kitchen, Formal Dining Rm and fireplace in the spacious Living Rm. Model home luxury first floor condo located in a prime neighborhood near to Burbank's Media Center. Spacious single-story charmer in prime North West Glendale with granite Kitchen, Master Suite, Family Room and Pool. Spacious and hard-to-find 3 Bdrm, 2 Bathrm, top-floor unit with lovely sunset views close to shopping, public transport, fwys and religious services. 3+1.5 Spanish charmer in Northwest Glendale with big yard. Flexible terms up to 1-year lease. Quick commutes to Downtown LA and the Studios of Burbank as well as The Americana At Brand. STUDIO CLOSE! Beautifully updated Traditional on a large, lush private lot w/ huge entertainer's covered patio just blocks from NBC and Disney Studios. Stunningly renovated single-story Spanish w/ open granite Kitchen, private Master Suite and Pool & Grassy Yard. 3+2+Family Room+Office/Gym. Fully updated, one-level condo centrally located adjacent to Glendale's vibrant Downtown District and near to shopping, transport, freeways, dining and entertainment. Traditional charmer on tree-lined street in NW Glendale. 3 bds, 2.5 baths, 2,326 sf on an 8,372 sf lot. 1-year minimum. Great Rossmoyne location! Come do your own thing with this character-rich English charmer. Charming single-story 2+1 Spanish with bonus guest quarters and large backyard on lovely treelined street in the heart of the Rossmoyne. Beautifully updated English with large lush yard in lovely neighborhood of NW Glendale. 2 Bdrms + 2 Bathrooms + Den top floor unit with lovely foothill and pool area views in a highly-sought-after Montrose complex. Listed By Chris Cragnotti. Very sweet single-story mid-century Ranch on quiet cul-de-sac street in prime NW Glendale. 3 Bedrooms, 2 Bathrooms with 1,453 sf on a 7,658 sf lot per assr. 3+1 fully renovated Traditional with BRAND NEW Kitchen and Bathroom. 1,021 sf on a 5,550 sf lot per assr. 3+1.5 Spanish charmer in Northwest Glendale with big yard. Flexible terms up to 1-year lease. 1,512 sf on a 7,897 sf lot. Single-story Character Spanish on large flat lot with some updating. 1,384 sf, 2+1 on a 8,198 sf lot per assr. 3+3 charmer Character-Home in the heart of the Royal Canyon Historic District. 2+1 private Spanish with lush front courtyard and sweeping sunset views to the Pacific Ocean. Charming 3-unit 1950-built complex near shopping and transportation. First time on the market since the 1960's. 1-story updated 3+2 Traditional on large flat lot in charming Verdugo Woodlands. Totally redone 2+2+Den top floor condo in NW Glendale's premiere multi-family complex with charming rooftop and foothill views. Single-story 4+2 English of 2022 sf (per assr) with versatile floorplan and charm inside and out. Contact Chris at (818) 244-5499. Updated 2+1 Spanish home with lots of character and big grassy yard. Short Sale opportunity. Contact Chris at (818) 244-5499. Charming 2+1 Adams Hill Spanish view home with updated systems and lots of character. Contact Chris at (818) 244-5499. Very sweet 3+3 of 2019 sf with Family Room, Master Suite, grassy yard with tons of fruits trees and a HUGE 6-car garage. 1-Story 3+2 mid-century Ranch of 1920 sf (per assr) with open floorplan, Master suite and pool in lovely foothill setting.